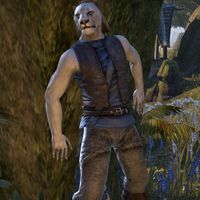 Adainat is a Khajiit merchant in Velyn Harbor. During the Drublog attack on the town, he can be found hiding behind a tree, nearby to Khalin-jo. This page was last modified on 22 April 2019, at 18:16.